Long admired as the strongest karate fighter in America, Allen lost in his first match of the All American martial arts tournament. 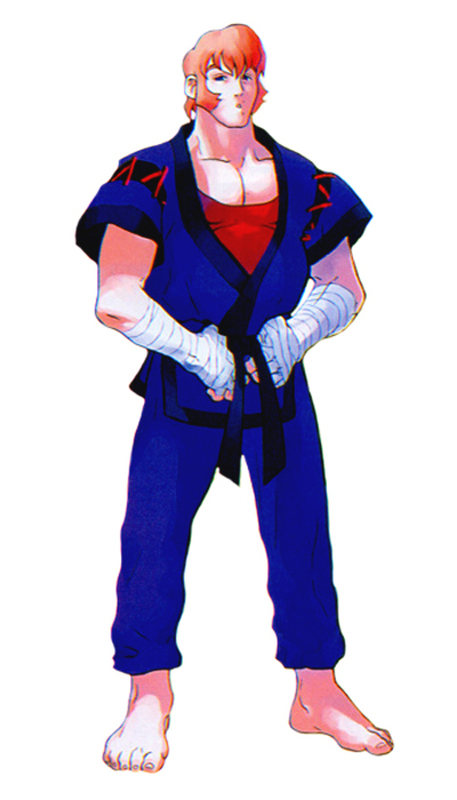 It was Ken Masters who defeated him, whom at that time was an unknown fighter. After the fight, Ken assured him that he was still a big fish in a little pond, and that he must battle on. 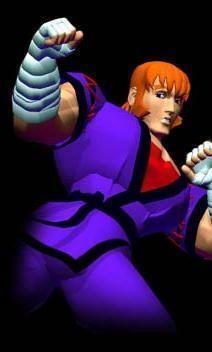 Allen was inspired by the words of Ken, and renewed his training. 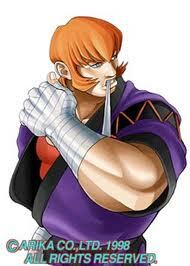 He even developed new techniques based on Ken's such as the Soul Force (Hadoken) and the Rising Dragon (Shoryuken). Since then, Allen began traveling the world to prove that he's not only the "biggest fish in his pond," but also the "biggest in the ocean". 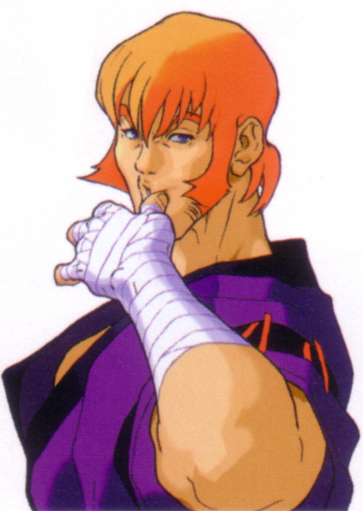 Just when you thought there were enough shoto characters in Street Fighter... along came Allen Snider... Trrripol Bddeeaak!!! (Love that move!) 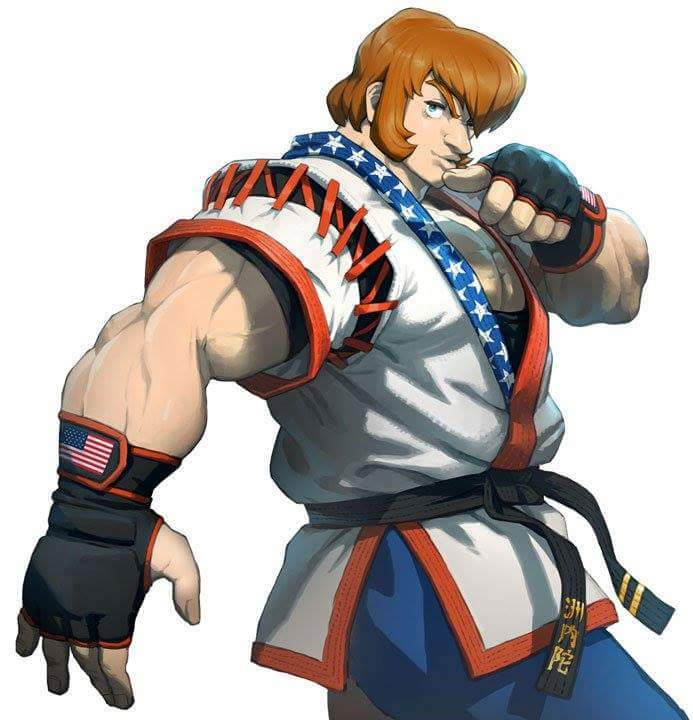 Considering his storyline and appearance, it's safe to say Allen is based off of young Chuck Norris - which makes him instantly cool, of course! 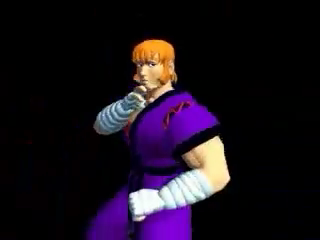 Allen actually has some unique moves for a Karate dude, and I enjoyed using him in SFEX back in the day. Alas, I was greatly disappointed when he mysteriously didn't appear in the sequels to EX. WTF Capcom? 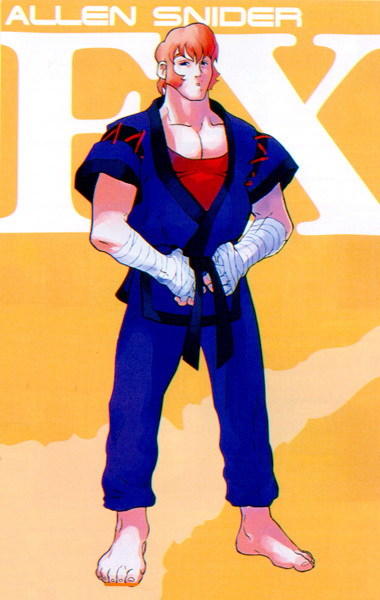 :( Allen finally made his comeback in Fighting Layer, a very obscure 3D fighting game. His appearance in that game was nostalgic, but not that significant. 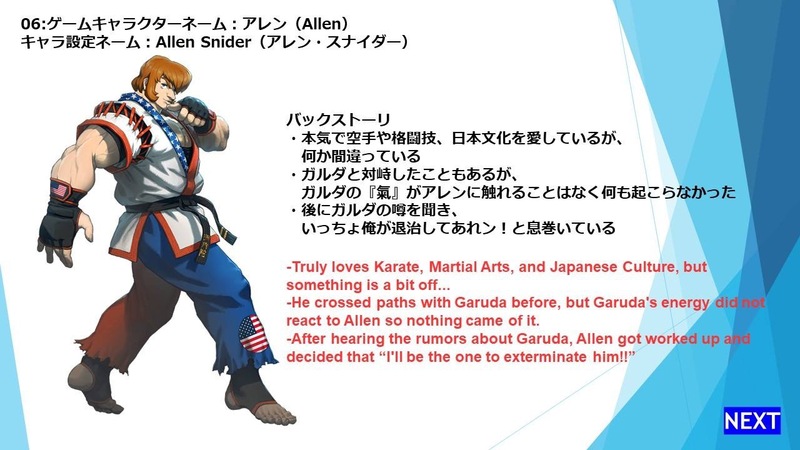 In 2018, Allen returned in Fighting EX Layer... which is definitely a cool version of him. 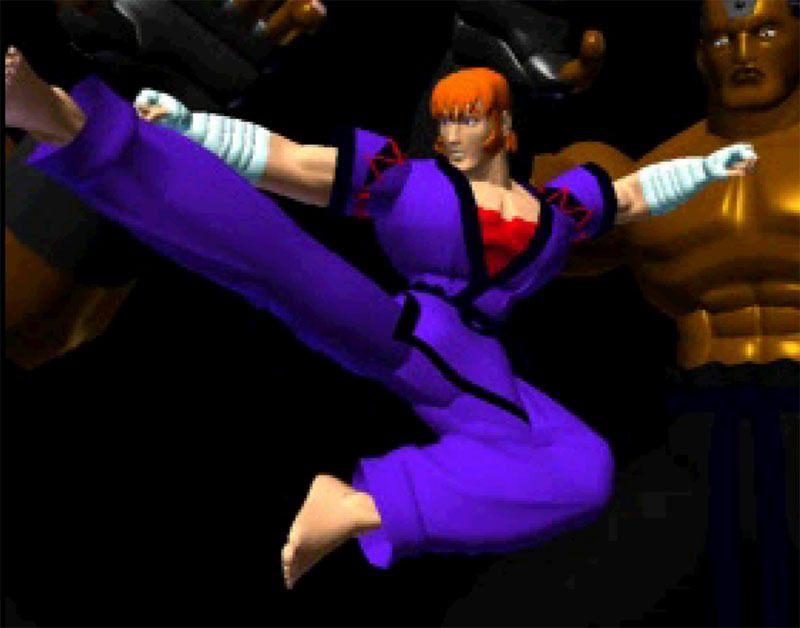 Awesome Arika is bringing SFEX characters back after all these years. It definitely says something about their designs. 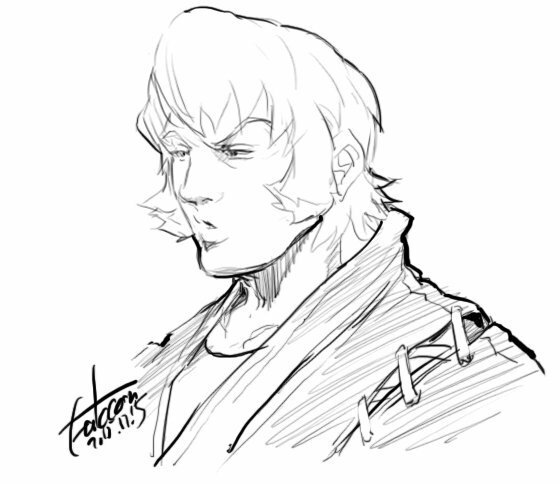 Epic sideburns as always, brah!